Augie Meyers, The Legendary Texas Master of keyboards, returns with a brand new album of Something Old, Something New, Something Borrowed and Something Blue. But this ain’t no wedding album. These are songs from the 50s, be they country or pop or R&B along with some new originals from Lord August his own self. 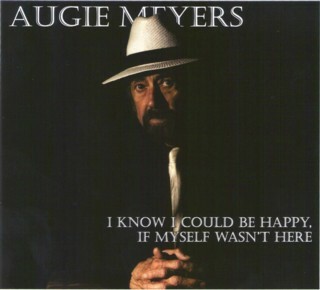 A veteran of 60 years in the music business, Augie has been a mainstay of both The Texas Tornados and The Sir Douglas Quintet (and its’ many offshoots) and time spent with Bob Dylan, John Hammond, The Mavericks and Tom Waits. Whether he is playing his legendary Vox organ, or squeezebox or tickling 88 keys, the sounds and singing of Augie Meyers is always recognizable. The man knows the groove. "When You Used To Be Mine"